During this past CORE DJ retreat in Orlando, we stole a few moments of Brisco’s TIME to talk about Street Medicine. For years, Brisco has dropped collaborations with your favorite rappers and R&B sangas, recorded with epic producers, and stood as one of Poe Boy’s most anticipated artists. But we’ve yet to see an album. As Brisco reflects on his 10-year career, he acknowledges his need for growth, not just musically, but as a man. Here he reveals what he’s learned and how he’s matured. He also touches on his love/hate relationship with internet sites, the infamous Waka Flocka diss song, and working with Rick Ross and Flo Rida. What’s the update on the album? We just dropped the 1st single “On The Wall” featuring Lil Wayne. That’s my single out the box that’s specifically for the album. I shot my half of the video last week, and Wayne shot his half before he went in. He set me up good on that. 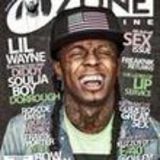 Free Weezy! What other features do you have lined up? I’ve got Lil Wayne, T-Pain, Flo Rida, Rick Ross, and that’s enough. I should do numbers just with that. I’ve got ten years invested in this album so it’s definitely gonna be a classic. Why has it taken ten years to get the album ready for release and to get the push behind it? I think for greatness, it takes a little longer. For the longest time I was like, “I’m next, I’m coming out next,” but maybe I wasn’t really ready to come out. Maybe I needed that learning process so I could be a little more in-depth and grow as an artist. And I was kinda reinventing myself. Speaking of reinventing yourself, the mixtape you put out on 4/20 had a different vibe than a lot of your music in the past. Yeah, OG Kush. My style wasn’t really different, but I just sat back on this one. I wasn’t really mad on this one. I was basically going through another transition and just being free and more creative.